Can you pinpoint a time in your life when you came to a crossroads? Did you make the “right” choice? How different would your life have been if you had chosen the other path? Often times we find ourselves facing these decisions as teenagers or young adults. And this is something that Bethesda’s Community Center staff see young men and women wrestling with on a regular basis. At 15 years old, Sherie was at a crossroads. Sherie began attending community center programs in first grade. It truly became a second home to her through her entire school-aged years. Unfortunately, some trials arose for her family that threatened to throw her off the path. When she was young, Sherie lived with her Grandmother, mother, brother, and sister. But when Grandma passed away, they lost the house and entered into a season of instability that put the whole family at risk of homelessness. Sherie’s family moved from house to house for a number of years as her mother struggled to hold down a job and secure permanent housing. The whole time, no matter where in Harrisburg they ended up, Sherie was at the community center, leaning on her second family, nearly every day. Another incident involving Sherie’s father threw the family into even more turmoil. Early in her High School years, Sherie stood at a crossroads. It would have been easier to give up; to decide that the work needed to graduate from high school and pursue her passion for art was not worth it. But with the stabilizing support, hours of prayer, and practical guidance offered by Bethesda’s staff and others, she kept marching forward down the right path. After graduating from high school, Sherie attended HACC for a year and is currently enrolled at the Pennsylvania College of Art and Design in Lancaster, PA. At 20 years old, she has her own apartment and is truly pursuing her dreams. At 17 years old, Kesha is at a crossroads. After first getting connected to the community center in 8th grade, it quickly became evident that Kesha’s home-life was very dysfunctional. Like Sherie’s mom, Kesha’s mom was what we’d call “functionally homeless.” She wasn’t on the streets or in a shelter, but bounced around from house to house, relying on friends and extended family members to take her, Kesha, and little brother, Marcus, in. A naturally intelligent girl, Kesha still struggles in school, lacking the support at home. However, she does have the community center to fall back on. When she thinks she can’t persevere and finish school, Bethesda’s staff are right by her side, encouraging her to succeed. When the stress at home is too chaotic, Kesha has a safe haven in the center. Kesha still has one more year left of high school, and it is unclear which path she will choose. But Kesha actually has a pretty good odds of coming out on the other side, having made the positive choice to stay in school. Students who attend at least 2 years of community center programming, achieve an 86% graduation rate compared to Harrisburg High School’s 51%. 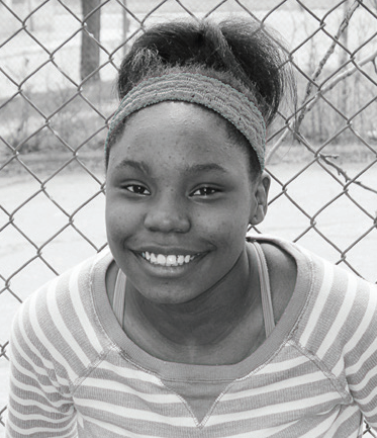 Just connecting with the community center has increased Kesha’s chances of graduating already! As we pray for and encourage her down the right path, you can play an important role as Kesha and others like her stand at the crossroads too. Your support guarantees the community center’s future, both as a physical “home base” and as a place where safe and stable relationships are formed. 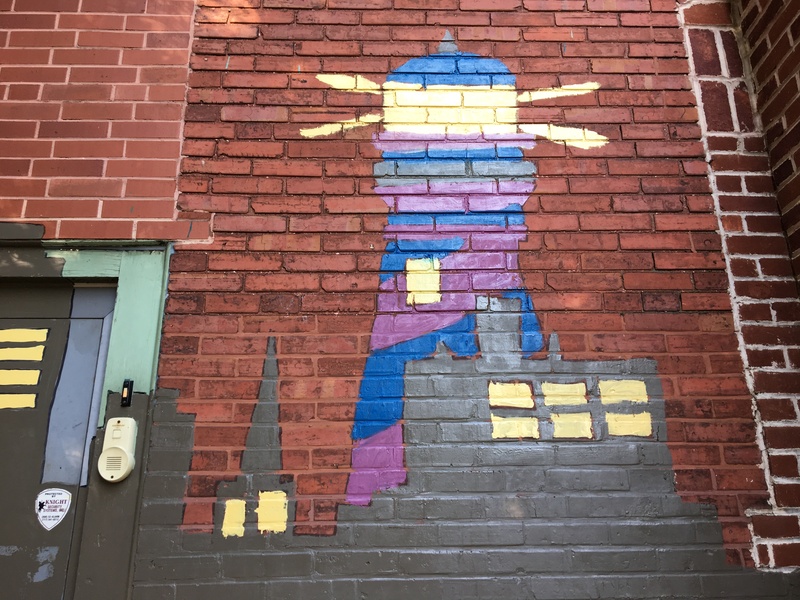 There’s a mural of a lighthouse on the wall when you enter the current community center building. This image is one that resonates strongly for us. As construction continues on the expansion project right next door, please join us in praying that many more teenagers who are faced with difficult decisions will be drawn toward the light emanating from this place and that we will have more opportunities to inspire hope and fireproof lives: one person at a time.